The veteran car accident lawyers at the Law Offices of Joel J. Kofsky specialize in helping injured victims, and sadly, we have witnessed a variety of ways that unexpected injuries can upend lives. We believe in a proper defense for victims injured in a car accident caused by the negligence of others. Additionally, we strive to professionally defend a victim’s rights while fighting for the best possible compensation that covers the losses resulting from an accident. Single car crashes involve just the one vehicle, so one might assume there it is not possible to establish the negligence of others is responsible for the wreck. But that is not true. The accident may have been caused by a faulty automobile part, or an improperly designed road, or a poorly maintained stretch of highway. If you can prove it to be the case, all of these are the basis for a valid personal injury claim. A single car accident can also be caused by improper design or maintenance. Overgrown shrubs and trees can make visibility of oncoming traffic dangerous, or cover road signs. And large potholes can cause even the best of drivers to lose control. Or in some occasional cases, your car accident attorney may be able to establish the road design was improper. Common design defects include too steep a grade of too sharp a turn. All of these are negligence that can be proved in court, so just because you had a single car crash, it does not mean you cannot file a claim. And there is one other common liable party in single car accidents, another car, pedestrian or bicyclist. Just because they were not involved in the accident does not mean that their negligent actions did not cause the wreck. The most obvious example is a driver who crashes while taking actions to evade another careless driver or pedestrian. An experienced personal injury lawyer knows how to establish negligence for someone who caused and accident, but did not get involved in the crash. Because of the nature of a rolling car, seatbelts and airbags are not as effective at preventing injury and serious injuries often result from a rollover. This type of accident is also a bit different in that determining liability is often difficult. A wreck that causes a rollover often happens because there are multiple defendants that share liability for the rollover. This complicates establishing negligence and makes it complex to file a rollover claim. 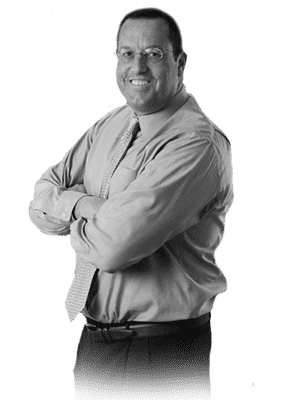 You benefit greatly from hiring the best accident attorney available if you are injured in a rollover and you should rely on them to properly file and argue your claim. There are a number of potential causes for rollovers, but three are common. Driver neglect is the cause of many accidents, including rollovers. Taking a corner too fast is good example. Another is a distracted driver who sideswipes your car, forcing you into a ditch and causing the car to roll. If you are in a rollover caused by another driver, as a passenger or a driver, the negligent driver can be held liable for your personal losses. Road conditions and hazards can also cause a rollover. Large potholes, incorrect speed limits, missing signage or road markings, or defective guardrails can all cause you to lose control and roll. Depending on the road, local, state, or federal government agencies are responsible for keeping the roads safe to drive. And if they do not, then they can be held liable for any neglect or improper care for the roads. Vehicle or part defects are also a major cause of rollovers. An example would be a tire that fails at speed, causing a driver to lose control and roll. Also, some vehicles are more prone to rolling than others. Any vehicle with a high center of gravity will roll more easily and this would include sport utility vehicles, vans, or trucks. The vehicle manufacturers are responsible to provide safety measures for such models. Roll bars and side air bags are two examples. If these safety measures are missing or defective in a vehicle prone to rollovers, the roof may collapse and you will have no protection during the rollover. The manufacturer may be liable for you loses incurred from your injuries in this instance. The most common image conjured up by the phrase “fender bender” is one car gently tapping its front bumper into the back bumper of a car in front. At low speeds, there may be no damage or injuries. But not all rear-end collisions occur at low speeds and it is common for serious injuries to result from a rear-end collision. Rear-end collisions happen at high speeds on highways all too often. Something happens that causes one car to have to brake, slowing or coming to a stop. But the driver behind does not see the brake lights in front of him soon enough, and crashes into the car in front at high speed. The occupants of the car in front are often seriously injured, and most certainly will have sustained painful whiplash. The resulting injuries are worse when a vehicle that strikes a car in front of it is large, like a trailer truck. These accidents can be deadly. And conversely, when a small car rear-ends a large truck, it can become lodged under the truck and it can instantly kill the car driver. Rear-end accidents that involve commercial trucks are quite serious and unfortunately almost always involve serious injury. But your accident attorney can analyze this type of accident and determine if the truck had the proper bumper and guards. If not, the truck driver or company may have some liability. Also, rear-end collisions with a bicycle or motorcycle are almost always a serious accident, whether the bike is rear-ended or the bike rear-ends a car. The bike rider is usually thrown from his seat and suffers injuries from impacts with other vehicles and the ground. There is little to protect most bikers, except maybe a helmet, and injuries almost always result. The expense to treat the injuries is often great. If you are injured in a bike accident, you would be best to hire an experienced accident lawyer. You will likely miss some work and require rehabilitation. Your losses, both economic and non-economic, will be substantial and you will want the best legal team on your side to make sure you are compensated fairly. A rear-end car crash is a stressful and emotional experience, but it is even worse when you are injured. You may not have even realized the other vehicle was fast approaching and there was no warning or time for you to protect yourself before they crashed into the rear of your car. It is a nightmare. A rear-end crash can be serious and result in severe injuries. When the worst happens and you are injured in a rear-end accident, you should take immediate action to protect your rights and any potential reimbursement due to make you whole. If you have been injured in a rear-end accident, do not wait to act. There are time limitations as to when you can file a claim and retaining an experienced personal injury lawyer may maximize your chances of receiving a fair settlement. The attorneys form the Law Offices of Joel J. Kofsky are experts in rear-end accidents and they may be able to help. The offer a no obligation, free initial consultation, so call to review your case. You have nothing to risk, but you may gain a valuable resource. a driver gets a flat tire, but does not pull over and does not engage the vehicle’s hazard lights. The most obvious exception would be if the car in front backs into the car in the “rear.” So, while the majority of rear-end collisions are caused by the car in the rear, do not assume that the front car is always free from guilt. There are exceptions to the rule of thumb. But the term whiplash is no longer used like it once was. It is a nonmedical, general term that has been overused and is not very accurate. So, today you will not hear it used much by doctors, lawyers, and insurance company representatives. Instead, they will use more precise terms like cervical sprain or strain, and cervical hyperextension injury. Seat belt injuries to the neck, chest, and torso. Some variables are more obvious than others. For example, the faster another vehicle rams into the back of your car will affect how much force, and resulting violence is delivered from the impact. Or, if you are on a motorcycle that is rear-ended by a pickup truck, you are likely to be seriously injured. But other variables, like was your seatbelt shoulder strap adjustable and was it over the right part of your torso, are not so obvious. But whether obvious or more obscure, these variables and others will determine what injuries result, and the severity, when a rear-end wreck occurs. So, whiplash (e.g. neck sprains, strains, or hyperextensions) is far from the only injury that may happen. And some of the injuries can be severe and are often life-changing. If you have been injured in a rear-end accident caused by the carelessness of another driver, first see your doctor immediately. You need to get the proper medical treatment so your injuries can heal. After that, you may want to consider retaining the best car crash attorney you can, as the medical bills and other expenses may be the basis for an insurance claim. It is common for those who were rear-ended while stopped, sitting at a light for example, to ask how could someone ram the back of their car. You were not even moving and the other driver must have seen you. Right? If you are involved in a rear-end accident, proving the driver who hit the rear of your car is critical for a successful claim. You must show there was negligence on the part of the other driver. While it is easy to assemble a list of why people cause rear-end collisions, it is much harder to prove that a driver is responsible for causing a rear-end collision for one, or a combination, of these reasons. To pursue an insurance claim resulting from your injuries, you must prove negligence on the part of the other driver(s). An established car crash attorney is a valuable resource when trying to prove negligence. They have the years of training and experience, as well as the resources, to handle rear-end claims. A knowledgeable personal injury lawyer knows how to present evidence and facts in a professional manner to make a sound argument and verify your claims. The rear-end crashes involving motorcycles, as well as override and underride rear-end wrecks involving commercial trucks are some of the most dangerous types of rear-end wrecks. Beyond the obvious large size and weight of a commercial truck compared to an average car, the trucks “bumpers” are also higher and different, frequently causing serious and/or life-threatening injuries. And obviously, a motorcycle rider has little protection when involved in any wreck. Commercial trucks are a special case when it comes to rear-end crashes. Trailers are required to have a special “bumper”, called an underride guard, which is intended to keep a car that rear-ends a commercial truck from sliding under the trailer. But these guards are not always effective, and depending on how the car hits the underride guard, it may crush the car and it can become pinned far under the truck. Many occupants of a car that rear-ends a truck receive serious head or neck injuries or are killed. The other way around, where the truck rear-ends the car, can result in the truck riding up and over the rear of the passenger car. This is called override and it too can result in extensive damage to the car, crushing it under trucks weight causing serious injury to passenger vehicle occupants. The lack of proper over or underride guards is the responsibility of the commercial operator, so if you were hurt in a rear-end accident involving a commercial truck, you may want to review the matter with an experienced rear-end attorney to see if there was negligence on the part of the truck operator and/or company. You should have collected the other driver’s information at the accident scene. If you can prove they were negligent, you may be able to file and collect on a claim with their insurance company. But it may be more complicated, you might even have to file with your own insurance company. An experienced personal injury lawyer knows how to handle the filing process and you may want to consider retaining a good car accident attorney to help you. Once the insurance claim is filed, if it is clear the other driver is liable, the insurance company may choose to settle early and avoid stringing out the process. This is often the case with rear-end car crashes. If the claim is not abnormally large, and the negligence is obvious, they might decide to settle quickly in just a couple of months. If after thirty to ninety days they have not offered a settlement, then things become more complicated and the process will take longer. If the insurance company denies your claim or is difficult, you may need to file a lawsuit after it becomes clear they are not willing to settle early. This will escalate the process and you will now need to start to build your case for trial or arbitration. Arbitration is a streamlined way to have disputes settled, compared to the tradition courtroom trial. It is also sometimes agreed to as part of your insurance policy. However, there are pros and cons to arbitration and you may want a conventional trial, so things can become complex. You would be best to retain a lawyer if you are involved in arbitration. An experienced accident attorney can help you manage the arbitration, or work around the arbitration if it is better to go to court. If your case is complex and there is a lot of information that needs to be collected, you may want to go to trial and an attorney will know how to file a lawsuit and avoid arbitration. To prepare for a trial, you will need to start your discovery (or expand it if you were preparing for arbitration). Discovery is the legal world’s procedure for collecting all the information regarding your claim. This can be answers to interrogatories, pertinent documents, captured testimony, phone records, photographs, or anything that is considered evidence in the case. Discovery takes time, and all the parties will assemble and review the collected information. During this time, about six to twelve months, the arguments each side will make start to become clear. It is not unusual for the insurance companies to try and settle during discovery as the facts make the picture of what happened a little clearer. If there is no settlement through discovery, then it’s time to get ready for trial, right? Well, maybe not. Your insurance company may include a provision for disputes to be settled through arbitration. And it is common for the court to schedule a mediation. All the parties meet with a third-party mediator, and the goal is simple, reach a settlement. This mediation process can be a bit usual to the uninitiated, but it is not that complex. It just takes some patience. One of the things the mediator will do is present the likely outcome to all the parties in an attempt to reach an agreement. If the mediation fails, then you are headed for trial. Trials are unpredictable and long, stressful affairs. For this reason, a low percentage of cases go to trial. But if you do, expect it take longer than two years. Car accidents are scary things. But there is one type of accident that conjures our deepest fears, a head-on collision. And for good reason. Head-on collisions are one of the deadliest wrecks that occur. Head on collisions are violent, and cause the occupants to come to sudden stop. Air bags and seat belts may help, but it is all a jarring experience. And two of the most feared scenarios happen all too frequently as a result, people can be ejected during a head-on collision, or, they become trapped inside the wreckage. The resulting injuries can be devasting and require comprehensive medical treatment. Often, a head-on collision is a life changing event for those involved. You would be wise to retain the best car accident lawyer available to protect your rights and help you through what may be the hardest time in your life. Being involved in a car accident is frightening enough, but it is even more upsetting when the person who caused the accident leaves the scene. Not only do you have to deal with the aftermath of your accident alone, but you likely will not have had a chance to determine who the driver was that caused the accident. This can make it very difficult to find out who is liable and to collect compensation to cover your injuries. Our attorneys know how stressful this can be, and we are available to help you with your case. If you have uninsured motorist coverage, your own insurance company may be able to provide you with compensation for your injuries when the driver who caused the accident fled the scene and cannot be found. However, insurance companies usually require you to file a claim within a certain time period of your accident, often within a few weeks. This means that you have to gather all of the information needed to file your claim quickly, and this can be very difficult if you have been hospitalized or are still recovering from any injuries you sustained in the accident. Accordingly, individuals hurt in a hit and run accident should not wait to get in touch with a hit and run accident attorney right away. There are a few steps you need to take after you have been involved in a hit and run accident to make sure you and your lawyer can easily file your claim with your insurance company. First, if you can, call the police right away and then call emergency medical services. The police will create a report after the accident and can try to determine who the other driver was, if possible. Second, you need to go to the hospital or to a doctor right away. Even if you do not think you have been hurt, some injuries like concussions or whiplash may not show symptoms right away, and such injuries need to be treated right away. While you are under a doctors care, be sure to obtain copies of your medical records and any bills you incur from surgeries, medications, physical therapy, and any other medical procedures. These will be used to show the insurance company how much they should reimburse you for medical expenses. Third, you or a friend or family member should take your car to be looked at by a mechanic. The mechanic can give you an estimate of how much damage your car suffered in the accident, which will constitute another aspect of your insurance claim. Finally, you need to be able to prove to the insurance company that you cannot identify the other driver. If the police who came to the scene could not find the driver who caused the accident, they may want to look at traffic cameras or nearby security cameras to see if they can find the person responsible. But if these leads do not turn up the person responsible for the accident, you and your lawyer can demonstrate to the insurance company that you could not locate the person who caused the accident. Your attorney will be there to help you through every step of this investigation. Then, once you and your attorney have gathered all the information needed to file your insurance claim, we will begin the process of filing your claim. Insurance companies will likely handle these claims differently depending on the details of your particular policy. Your insurance policy may require a clause for contractual arbitration, requiring that your claim be presented before a panel of arbitrators. These arbitrators will include one selected by your insurance company, one selected by your attorney, and one selected by the first two arbitrators. This panel will determine how much compensation the insurance company is responsible for paying you, and so it is important to contact one of our attorneys who can select an experienced arbitrator on your behalf who will carefully consider the evidence and come to a reasonable conclusion with the other arbitrators. Our attorneys have experience working with hit and run cases in Philadelphia and across Pennsylvania. We understand that these cases are very stressful and can be difficult to understand and prove, which is why we provide our clients with the best representation available in their hit and run cases. We will work with you throughout every step of the claims process and will represent you during the arbitration process if your policy requires it. Contact our offices right away to receive a free consultation if you have been hurt in a hit and run accident. A car crash is disorienting and traumatic, to say the least. The sound of crunching metal and breaking glass are a nightmare come true. But if it happens to you, what should you do? The answer to this question is important because the steps you take after a car accident may very well impact your chances of filing a valid claim. You can preserve, or risk, your rights to a proper compensation for the accident depending on the actions you take. So, there are a number of do’s and don’ts to follow after a car wreck and below you will find some recommendations that are useful to know if you do find yourself involved in a car crash. It will come as common sense for most people, but if someone has been hurt and needs medical attention, the first thing to do is call 911. Get help for those who have been hurt and follow the instructions of the first responders as best as possible. If you have been hurt, you should also get medical attention. Your injuries are important, too, and you need to get the medical attention necessary for your injuries, even the minor wounds. And keep in mind that medical attention may be needed after you leave the accident scene. It is not uncommon for some injuries to worsen with time, after you leave the accident. If this is the case, get medical attention as soon as possible. Remember that not only do you need to get the proper treatment, but a medical professional is capable of documenting the injuries you received, which is helpful when filing a claim. You need to get as much information as possible about each vehicle involved in the accident and the passengers. Even if it appears there was no damage to one of the vehicles or injuries to the occupants, collect their information. And note the things that jump out at you about the other vehicles like a company name on the side of the truck, or a missing license plate on motorcycle. Another important step is to take note if there were witnesses of bystanders to the crash. If there were, then get their names and find out what they saw. Their vantage point may have allowed them to see something that will later be valuable evidence in establishing your claim. So, collect their contact information and ask if they are willing to testify to what they saw. They say a picture is worth a thousand words, and that may be an understatement in analyzing a car accident. Take pictures, more than you think you need, they are often a strong piece of evidence to document your claim. Record the damage to all the vehicles and other property at the crash site. And be sure to take pictures of things like skid marks, missing road signs, debris in the road, potholes, or anything else that may have contributed to or have been caused by the accident. In addition to taking pictures, you may want to also take copious notes to document things like was it raining or snowing, did you see another driver on his phone, did you honk, what was that funny sound you heard. After the accident all these details are fresh in your mind and it is best to write them down if you can before you start to forget. And one of the best ways to document your version of events is to file a police report. You may be required under law to file a report, and it is usually best to call the police and wait for them to arrive at the accident scene. Often, the police will then file a report and you want to confirm that this report agrees with the events as portrayed in your version of the accident. If one party attempts to dissuade you from contacting the police, do not agree to this request and contact the police promptly. The police report is often referred to after an accident and can be used as evidence. So, those are some do’s you should make sure to complete just after an accident occurs, but what about the don’ts? Yes, there are a couple of things you need to avoid. Do not admit responsibility for the accident to anybody! After an accident you are emotional and may not make statements that are logical or true. But they can be used other parties later to make it look like you caused the accident. Be careful what you say and do not say anything that even implies you caused, or partly caused, the accident. Do not get emotional and make statements you will regret later. Something as seemingly harmless as “I wasn’t paying attention” to answer someone’s question can be misconstrued to make you look guilty. You need to be mindful the other parties may be looking for ways to cast blame on you, even if it is not true. You took all the proper precautions at the accident scene and collected all the right information. But you are not done. After you leave the accident scene, you will need to continue to take steps, and precautions, to avoid jeopardizing your claim. The first of these is to be careful in your dealings with the various insurance companies. It is common for an adjuster to contact you after an accident. If you are contacted by an insurance adjuster, be gracious but only provide basic information like your name and contact information. Do not give them details of your account of the accident and never allow them to record any statements regarding the wreck. A good rule of thumb to keep in mind is they work for the insurance company, not you, and are looking for anyway to minimize a settlement, including whatever you might say to them. Also, you should never accept a payment or agree to a settlement without consulting the best car accident lawyer available. Insurance companies are a business and they operate to make money., As such, they will attempt to offer you as little as possible to settle the matter. Without exploring your options with a knowledgeable lawyer, you cannot consider all your available options and make an informed decision. You need to avoid such proposals from an insurance company that attempt to eliminate your attorney from the picture. A major part of your claim involves establishing the losses suffered as a result of your injuries. As with negligence, it is often easier to say than do. These are often easy to document with invoices or receipts. And after an accident you should get into the habit of retaining, and organizing every receipt, bill, invoice or other expense associated with the accident. These are actual losses you have suffered, but it is a little more complicated to put a monetary value on these items since there is no bill or invoice created for these very real issues. However, the best car accident lawyers know how to evaluate your situation, and determine the financial impact to you for items like pain and suffering. Your lawyer will also be aware of any special rules or procedures involved for claiming These costs then can be included in the amount of a settlement. As is the case with the economic losses and saving all your medical receipts, organization will be your friend when it comes to non-economic losses, too. For example, maybe you traveled the world before the accident to conduct research for books you write. But now you can no longer travel because of the injuries sustained in the car accident. Then you may have to show how much you traveled prior to the accident. The ability to produce travel logs and receipts for those trips may be used to demonstrate how often you traveled and how much you relied on the information learned from traveling to create your books. The more information you can provide your car accident lawyer, the better he can calculate your non-economic damages. In short, Yes! Almost every injured car crash victim can benefit by retaining the best accident lawyer available. But not every injured person will have a valid claim against another party. It is complicated to know if the circumstances that led to your accident, and your injuries, are the basis for a valid claim. Fortunately, the Law Offices of Joel J. Kofsky offer a free initial consultation. That means a free review of your case with one of the best law firms in Philadelphia, with no obligation. There is nothing to lose when you call and if your case is taken by one of the best injury lawyers available, you gain some much-needed help because they know how to handle personal injury claims and fight for maximum compensation. 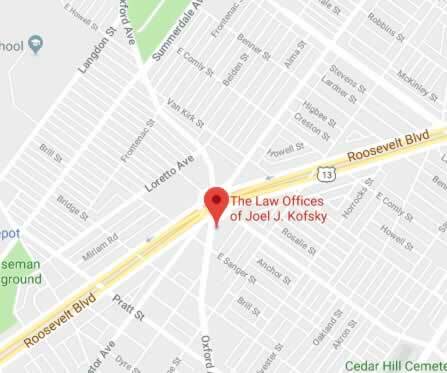 At the Law Offices of Joel J. Kofsky, we are committed to protecting the interests of car accident victims and we are ready to evaluate your rights and options today. If you were injured in an accident, please do not wait to call 215-735-4800 or complete our online contact form to learn more about how we can assist you. For a claim to be valid, you must establish that your injuries were caused by the carelessness of others. This is important because for a personal injury claim resulting from a car accident to be valid. You must prove that negligence by others caused your injuries. That sounds straightforward, right? You know that the other driver is at fault so it should be easy. Unfortunately, it is far from simple to convince insurance companies without tangible evidence. You word alone is not enough. And the term “negligence” is defined by the court, meaning that for a claim to be valid, one must show that a party, or parties, violated their level of expected care, causing the accident that resulted in your injuries. Then consider this, the negligence may not be caused by another driver. Automobiles are sometimes manufactured with defects, or a municipality may fail to provide a proper level of care to the roads. For example, an airbag may malfunction because of a design defect. Imagine an airbag deploying for no reason while driving, or maybe even worse, not deploying when a wreck occurs. Or another example of negligence can be a town that neglects a road to the point it is unsafe to use. And engineers can improperly design bridges or roads and other structures that fail, causing injuries to motorists. All of these can be neglect that caused an accident. Things are often complicated when an accident occurs, and proving negligence is no exception. You want the best car accident lawyer on your side to help with this difficult, demanding task associated with your claim. So, the forms of neglect are many and establishing negligence is hard. But then you may wonder: How do you actually “prove” it? Well, take fatigued driving. You may need to obtain the drivers work history to show they worked very long hours. Or maybe you can get their phone logs to review the hours they were awake. But how do you get ahold of those records? The best accident attorneys know how to obtain documents and get the needed information through a process called discovery. Then there are depositions. This where lawyers can pose questions to a party involved in the accident, or a witness. This is often done ahead of trial to corroborate facts and glean as much information from individuals as possible while they under oath. It can be a valuable tool in obtaining the data you need to prove negligence. Taking the testimony of defendants or witnesses is often best left to a professional, like a personal injury lawyer. In summary, proving negligence is a crucial step in establishing your claim. To make the best argument and improve your chances of establishing neglect as a cause of the accident, retain the best car accident lawyer possible. They know what is needed, how to collect the data, and assemble all the facts in a logical, convincing manner to show you were injured because of the carelessness of others. 1 out of every 44 people was involved in a reportable traffic crash. 1 out of every 159 people was injured in a reportable traffic crash. 1 out of every 11,263 people was fatally injured in a reportable traffic crash. The stats show car crashes happen every day. And when someone is hurt in an auto wreck, the resulting claims are complex and unique. There is no “standard” accident, and there certainly is no standard way to handle a personal injury claim. The details of personal injury claims vary and are complicated. Add to that, negotiating a settlement with an insurance company is like walking through a mine field blind. And if you need to seek the help of a court and end up with a trial on your hands, the level of complexity increases exponentially. 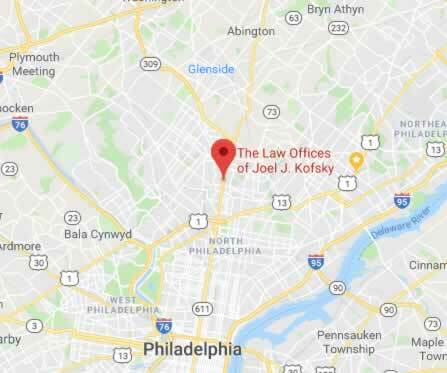 The personal injury lawyers at Joel J. Kofsky provide their clients with years of education and experience, professional resources, and talent to ensure they get the best legal representation possible.